William Hickie- Assault young boy. In 2015 proposals supported by Hastings Borough Council will further erode the open space of the Bohemia Estate forever. See the Travelodge & Register offices pages for the latest informaion in a town where development is more important than open space. A planning application has already been approved for new homes at Horntye cricket. Bohemia Estate & Summerfields Woods. Bohemia Mansion viewed from the south. Hastings was the country home of some of the Brisco family for most of the 19th century. As well as houses in London they also had homes by the seaside. Musgrave Brisco one time MP for Sussex had a large estate at Coghurst to the East of Hastings and Wastel Brisco was at Bohemia House in an elevated situation above the town at Bohemia. These pages give information on the activities of the Brisco family and the structures they built as part of improvements to their estates including the final use of Bohemia House as a Hastings branch of the Summerfields school based in Oxford. 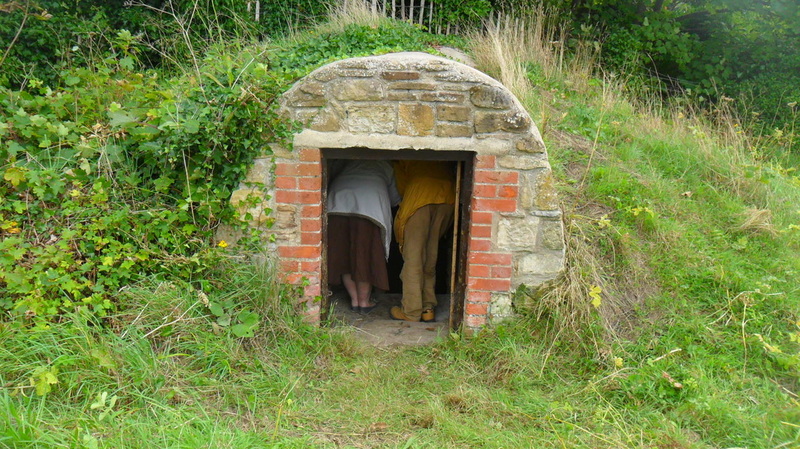 After Wastel Brisco occupied Bohemia Mansion he embarked on a number of improvements to the estate including the construction of an Ice House across the drive from the kitchen of the house. 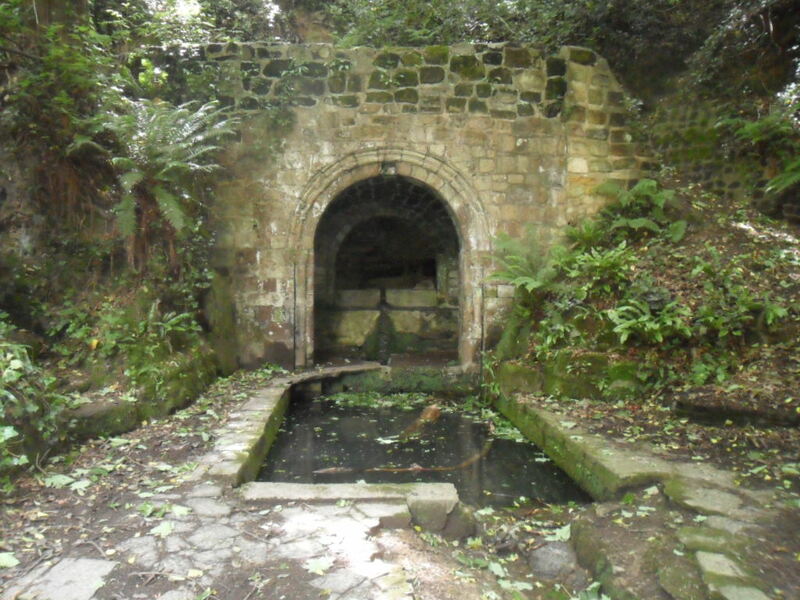 Within the grounds up from the ornamental ponds a natural spring was incorporated into a Roman Bath. The south drive with gate house passed in front of the Walled Garden. The North Gate House was situated just south of the ESFRS (Fire Station). A Walled Garden with a 12' high wall surrounding it was created and excavated material from the garden created a mound that was landscaped and laid out with paths that would have offered an elevated viewing area now obscured by trees. 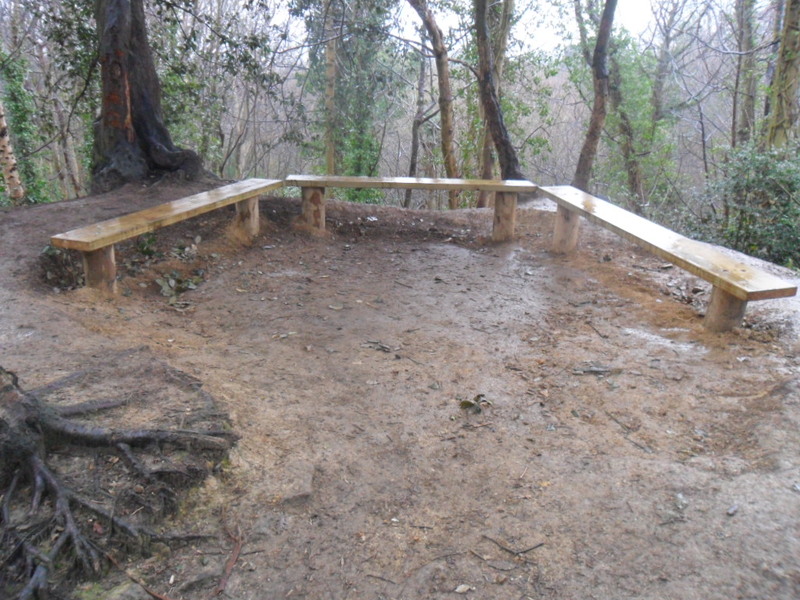 After many years of neglect this area was recently cleared of undergrowth to reveal long lost paths and local artist in wood Joc Hare was engaged to create wooden seats and railings and this feature is now known as Prospect Mound. At the end of the 19th century when the Bohemia estate ceased to be used by the Brisco family it was leased as a branch of Summerfields School from Oxford who used it up to the 1960s.For a short while it was used as a part of Woodlands School. Hastings Borough Council acquired the Bohemia Estate in order to develop one of their grand regeneration plans developed by Arthur Swift (Chartered Architects and Planning Consultants) and in 1972 chose to demolish the mansion and when their over optimistic plans failed to materialise decided to place single floor buildings on the footprint of the old house for over over forty years where they remain awaiting disposal and demolition. Summerfields wood as the area is now known has been designated as a Local Nature Reserve (LNR) and the Victorian Roman Bath, Ice House and Walled Garden remain as features of the area that has a Friends of Summerfields Wood (FOSW) volunteer group who work with the Hastings Borough Council Rangers on periodic maintenance. On this website there are also pages that consider the masterplan commissioned by Hastings Borough Council produced by Arthur Swift & Partners as well as more recent planning permissions for homes at Horntye and proposals to build homes on the site of the Register office and to demolish and rebuild the Travelodge Hotel and build upon existing open space that falls outside the Local Nature Reserve. 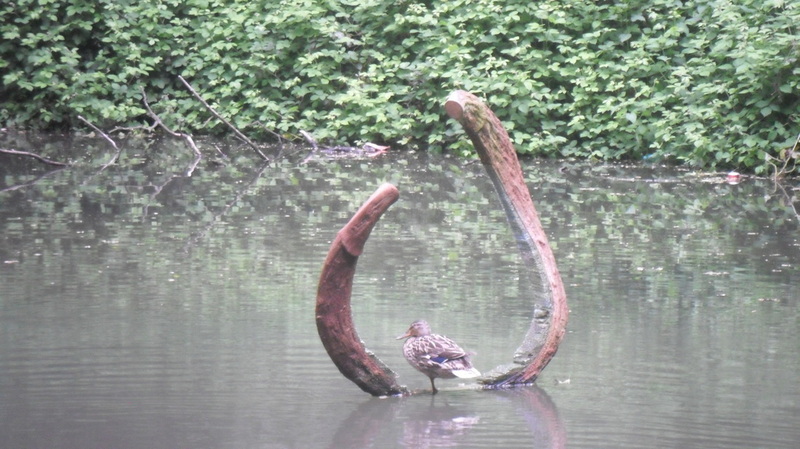 With the Borough Council who are unable to spend any money to care for the the former Brisco Estate and continuing pressures for the Council to sell their assets to balance the books this site will also explore what the future holds for the Brisco Estate and Local Nature Reserve. The Victorian Roman Bath,created as part of Brisco improvements.